Create your own Bandages with my Fortnite Bandage Paper Towel Printable Template! This is an easy way to make fun Fortnite party decorations. Just print, cut and wrap the label around a paper towel roll. These come with the word “Bandage” on them (you cannot edit this text). 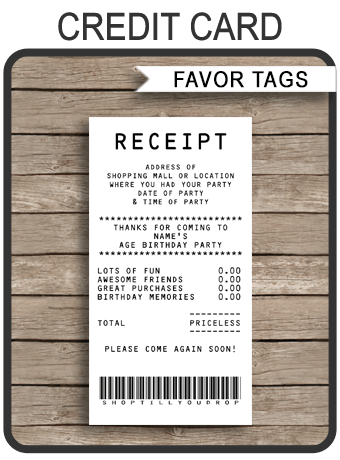 Buy once and print as often as you like. 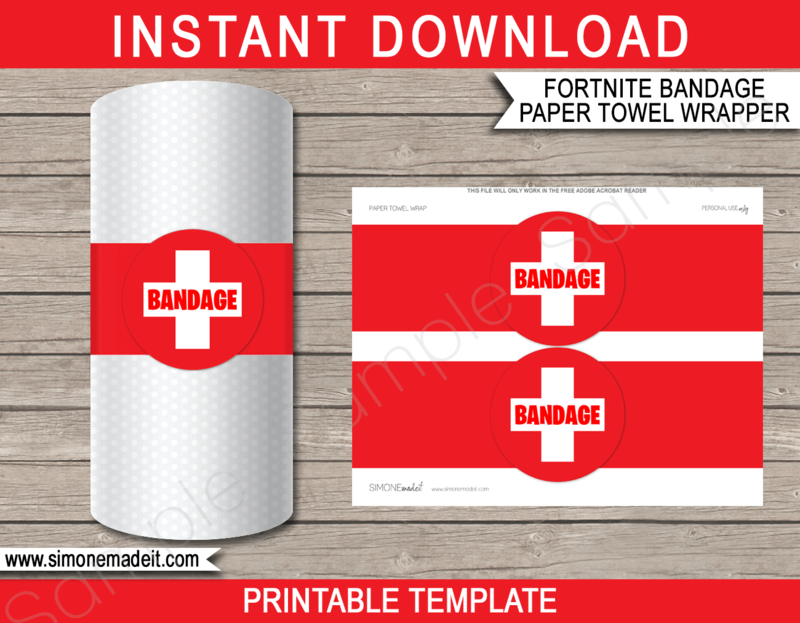 Download your Fortnite Bandage Paper Towel Printable Template immediately after your payment has been processed. Cut out your Fortnite Bandage Paper Towel Printable Template. Then wrap around wrap around a regular sized kitchen paper towel roll. 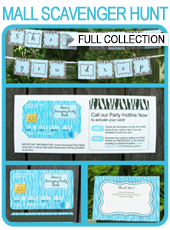 These turned out super cute for my daughter’s party! Instructions are easy to follow, and customizing was super quick! Both my daughter and I were very happy with the result. Loved that this was an Instant Download! Instructions are very clear and easy to follow. Will definitely purchase from your shop again. 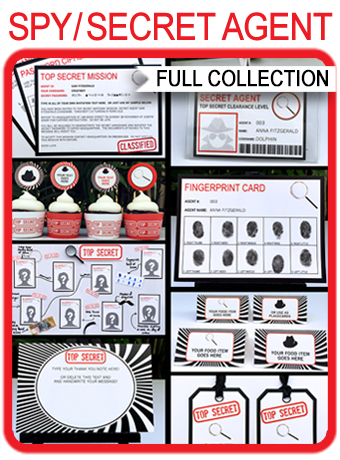 OMG, I just LOVE this printable spy kit and invites! 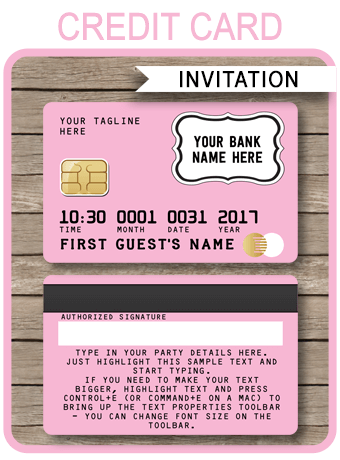 Invites are so cute! LOVE the idea of giving them all code names! I wrote to all the parents to find out their cutest or funniest nickname. Also love how super easy it is to edit these and how it carries over the info to the next page. Thank you!! !